i was watching running man latest episode(korean famous tv show if u don't know), and there's this male singer group came to the show as a guest. 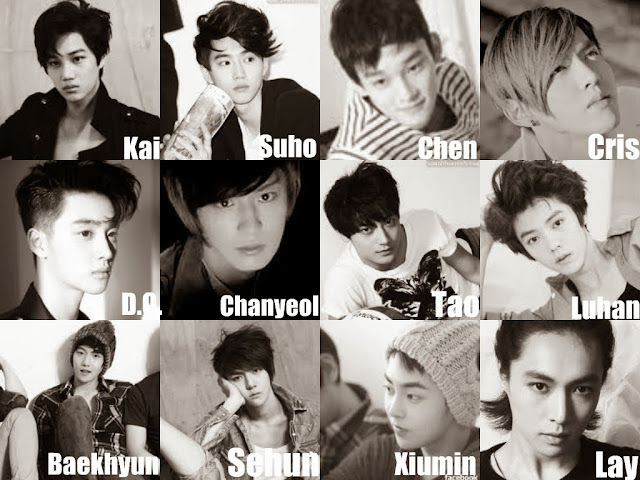 korean male group rising star EXO. i was so confuse while watching the show. i mean, they all look the same. round face,same lip, same eyes. maybe not all la but seriously, they look almost the same! i acknowledge that plastic surgery are widely promoted in korea. 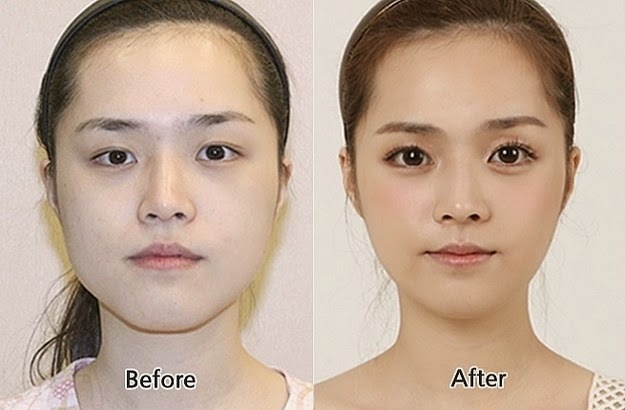 eye surgery was just like using makeup for them. 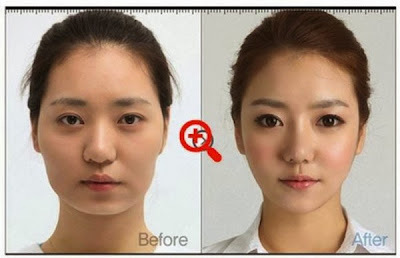 here are some photo i found on the web about korean plastic surgery. oval face, round eyes, small nose. gosh, i was so jealous of korean people back then. i was actually thinking, korean people are also normal people. most of them have square face, big nose just like malaysian people. 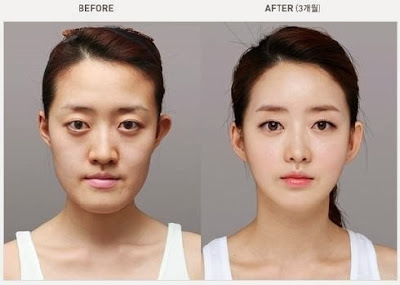 but plastic surgery make them look more gorgeous! 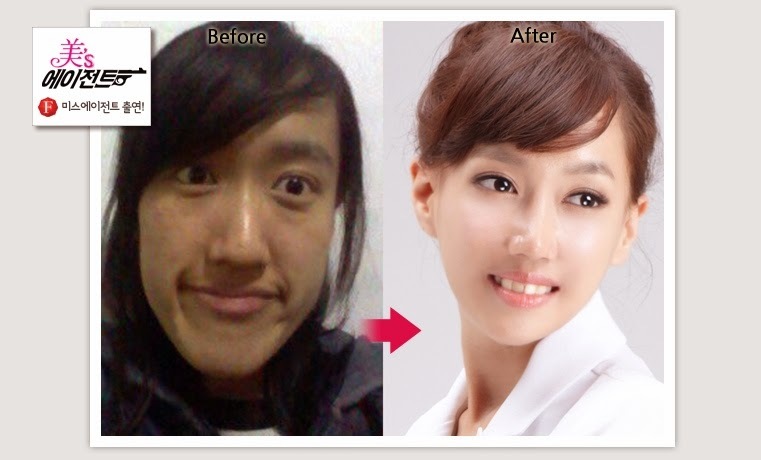 no wonder la so many celebrity went under the knife. the result are just so amazing! *not only korean celebrity arr.. even yang international celebrity pun ada banyak yang buat. 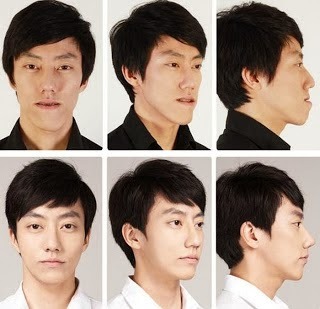 nowadays you can choose which face you want. you don't have to feel down about your face anymore and you can just walk outside confidently. when i was in highschool my teacher told me there are at least 7 people in this world who look the same. can you imagine what will happen if everyone in this world choose the same look and everyone look the same? 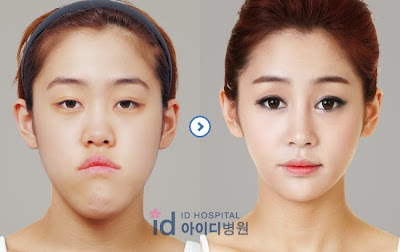 one of the most successful plastic surgery in korea is KIM YUMI. beauty from head to toe. 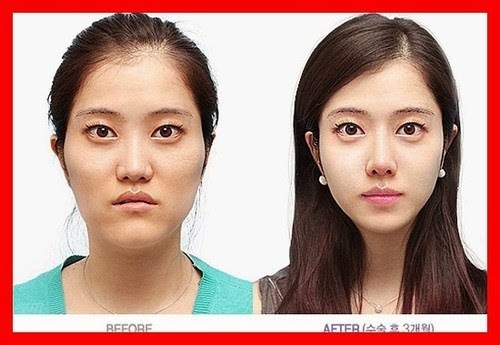 "i never said i was born beauty"
apuuu..surgery make her look so amazing and different. and as a bonus she win the title of miss korea 2013! 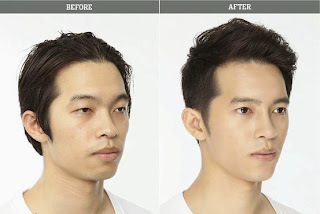 not all of them look the same la, some probably because of the makeup but yeah, most of them look almost the same and from what i read on the internet beauty peagent clone a lot of korean citizen also complaining about the contestant face that look the same. kalaulah semua buat plastic surgery kan, haruskah dorang tukar nama miss korea ke miss surgery? actually i notice some of the korean artist also look almost the same. even my favourite male actor! 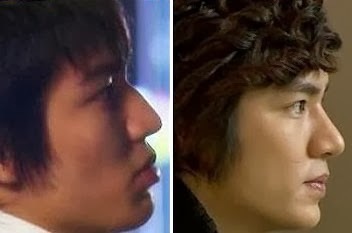 these two are my favourite korean actor. 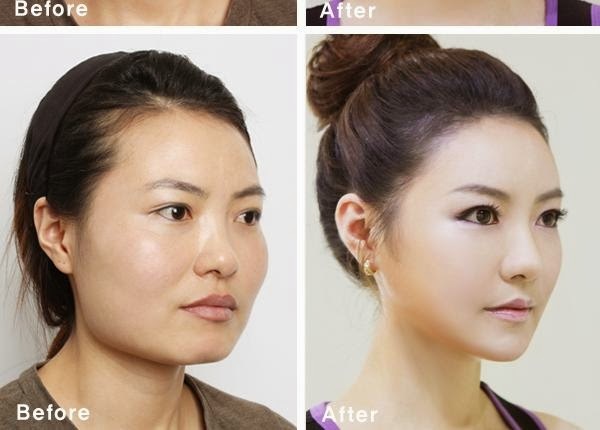 and as you can see in the pictures above, they did plastic surgery obviously. even though i am not so sure why jang geun suk did it, because he already look cute as he is but i guess he want to look manly, so, he decide to add some fat to his nose. 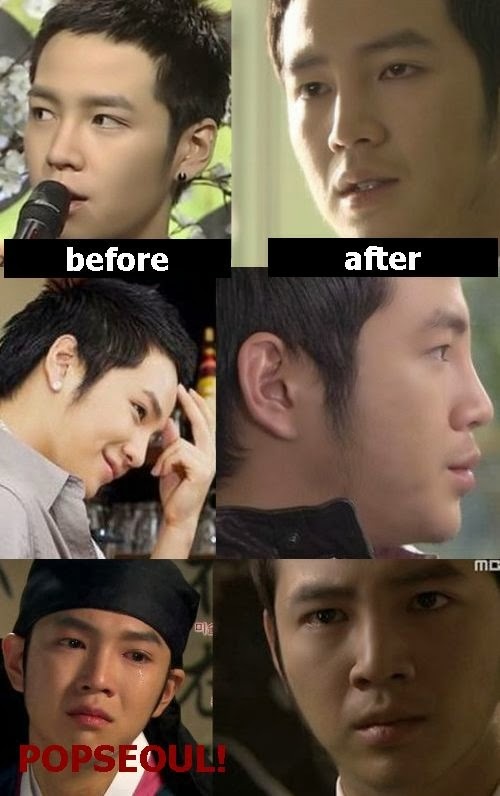 and now that i know they had plastic surgery, it never stop me from liking them. i am still a fan! i still wanna watch their drama and still listen to their song. i mean, they are talented and 'cute'. about their surgery,let them deal with their God. you can choose to like them or to hate them but in the end, there's only one Judge in this world. i've ever consider this actually...but still maybe this is too much for me. Lol. i do get jelous easily especially to those pretty ladies. but i am not brave enough to go under the knife. I actually think it's good for them. Even though it's not really their face. But technology has helped us in many ways and this is one of them. They're just taking advantage of what's possible. Well, they have the money to do so. And I'm sure most of them are satisfied. Unlike the plastic surgery in the US (maybe other countries as well), especially on the lips to make them bigger. I find that a silly move. The best thing about plastic surgery, I think is to be able to have double eyelids, usually for Asians. I think that's fine. For me, I'm happy with myself wakakaa. Even if one of my eyes most of the time don't have double eyelids and people keep talking to me in Chinese hahaa. But if it is possible, I wanna get taller. :D I know there's a surgery for that though. But the process is painful! The limb lengthening one. Hahaa. Aye aye. Btl..technology makes us better! Hahah.. One of yor eyes only ka no double eyelid? I didn't notice that! Hehe. Aiyaa i think all the shory man want to be taller ba arm. But i dont think u r short. Average sja baaa.. Okla.. Hehe..
are you the apple of my eyes? ?